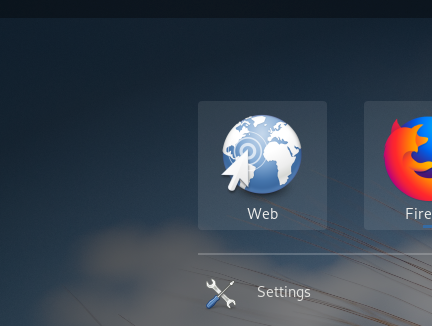 Gnome has a web-browser and it is named ‘WEB’. Has been known as ‘Epiphany‘. Imagine a new user asking for help on problems with Web. This new user will not find a gnome-forum, so the question will appear in the forum of the OS. Gnome heeft een webbrowser met de naam WEB, Vroeger bekend onder de naam Epiphany. Stel je voor welke reakties iemand krijgt die op een forum een probleem het web beschrijft. Heel verwarrend. 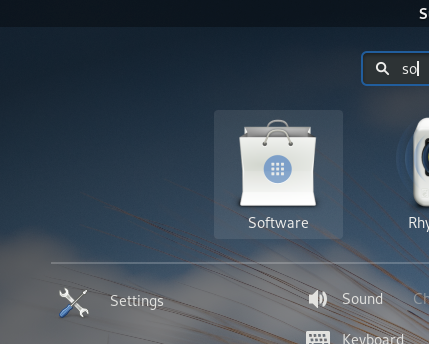 Gnome has a program to deliver new software and upgrades. That program has the name Software. Imagine a new user asking for help on problems with Software. The official name of the app is gnome-software. Very confusing. Gnome heeft een programma dat Software heet. De officiele naam is gnome-software. De misverstanden op fora over een probleem met Software van Gnome vallen direkt in het oog.